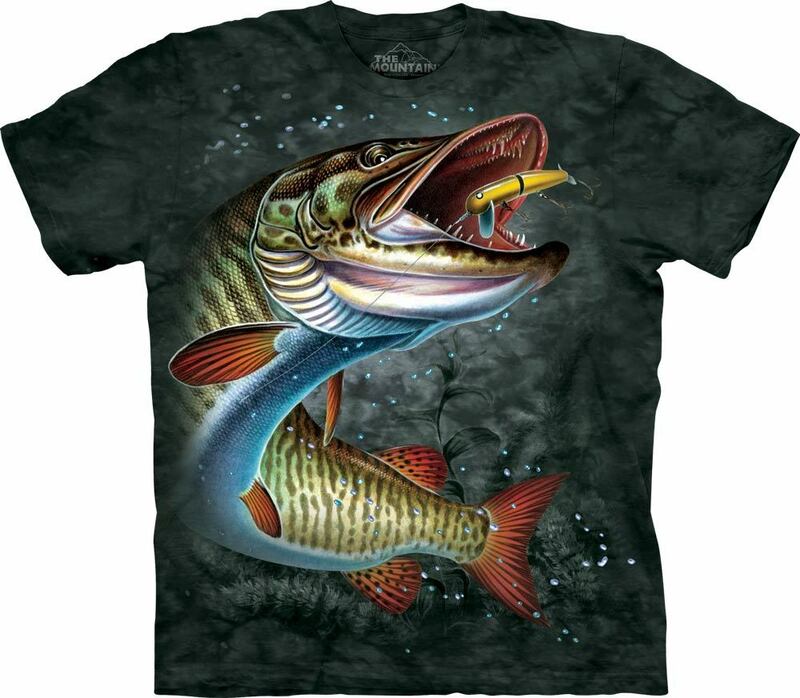 This Muskie t-shirt is an angler's dream and true fishermen will love it! 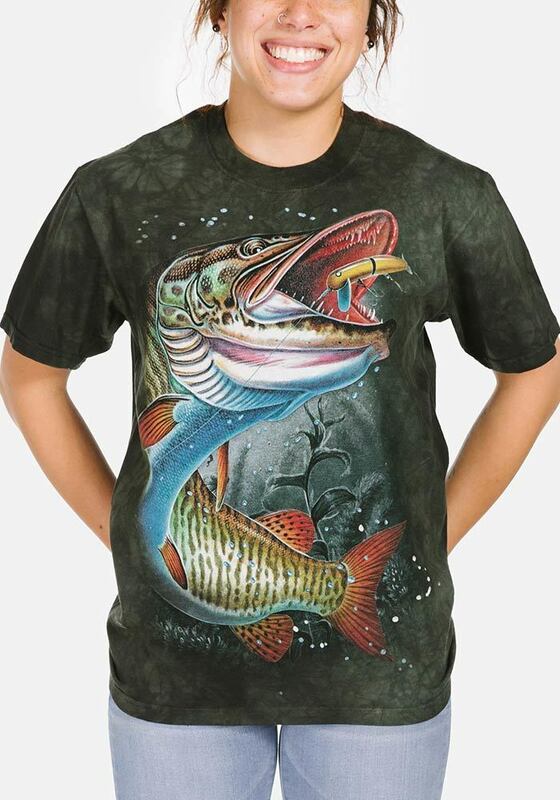 The aquatic design features the muskie fish with a a bait in it's mouth. Did you know? The muskellunge is the largest member of the pike family and is native to North America.